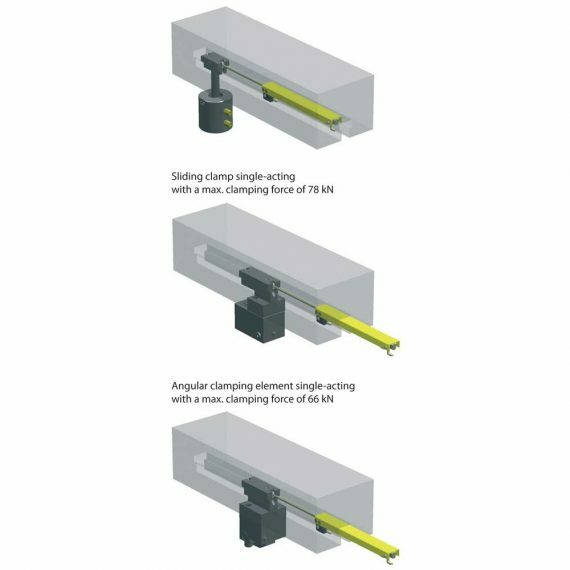 Low-cost rapid clamping system for short travel lengths. 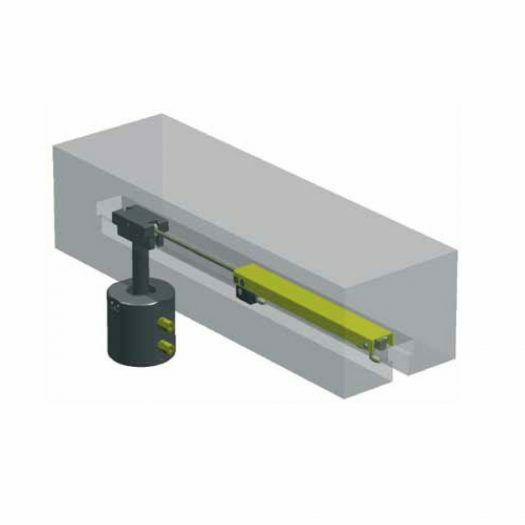 In this version, standard clamping elements are moved by means of a pneumatic cylinder. 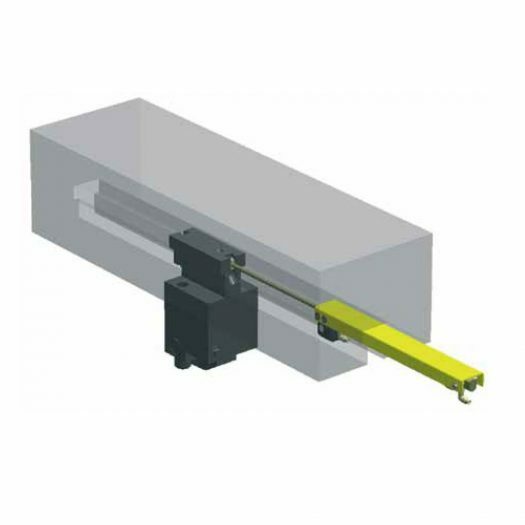 The pneumatic positioning drive fits completely into a T-slot, therefore the positioning cylinder can be positioned upstream or downstream of the clamping element. 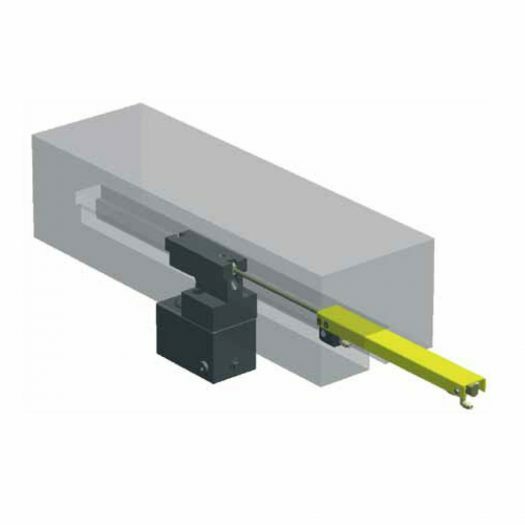 The positioning drive is fastened in the T-slot using a wedge lock without the need to modify the press ram. Interrogation of the unclamping and clamping positions is carried out using inductive magnetic sensors on the pneumatic cylinder.